Stefano Ricci always strives to meet the highest standards of quality, and his creations are worn by men who do the same. But having exacting standards doesn't mean making life more difficult than necessary. 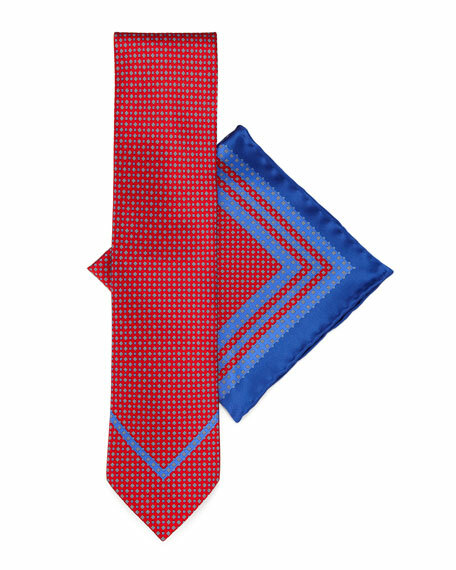 This set simplifies your dressing with a matching tie and pocket square, making it easy to look your best. Micro squares adorn silk tie and solid-trimmed pocket square. Pocket square, 12 1/2" sq. Tie, 60"L x 3" at widest.